Around the holidays, there truly isn’t anything better than a tasty themed adult beverage. Luckily, Rachael Ray’s husband, John Cusimano, is a mixologist. He’s talented and creative, and knows exactly how to put together a beverage anyone would enjoy. Whether you’re looking for a peppermint flavor, a sweet chocolate drink, or a traditional bloody Mary-style beverage, he’s got you covered! He shared recipes for his Peppermint-Pomegranate Cosmo, Death by Chocolate, and Bloody Vodka Martini. Plus, Grant chipped in, literally, with his recipe for a 1-ingredient Eggnog Granita! 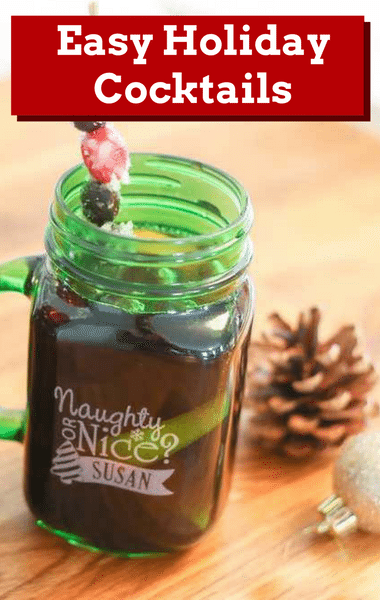 To get these delicious holiday cocktail recipes, click next page!